The Vermont Agency of Transportation says flash flooding has washed out roads in several areas of the state and temporarily suspended Amtrak service. Saturated ground compromised about 800 feet of New England Central Rail track in West Hartford. Passengers traveling on the Vermonter Amtrak service will be bussed to destinations. A number of state highways were closed on Saturday, but most were reopened Sunday. Crews have been deployed to repair roads and flood waters have receded in most affected areas, according to state officials. Many local roads were also affected by flooding. Town and VTrans officials will assess damage and repair costs over the next few days. The following roads were closed on Saturday but were reopened on Sunday. Route 100 in Rochester has reopened. Route 100 in Warren has reopened. Route 125 in Middlebury has reopened. Route 302 in Groton has reopened. Route 133 in Pawlet/Tinmouth has reopened. Vermont Emergency Management officials say far northern and southern areas of the state received from 1 inch to 2 inches of rainfall Saturday, and many central Vermont towns received 3 inches to 4 inches. Killington’s highway and facilities department reported small wash-outs on local roads, but none serious or impeding travel this weekend. 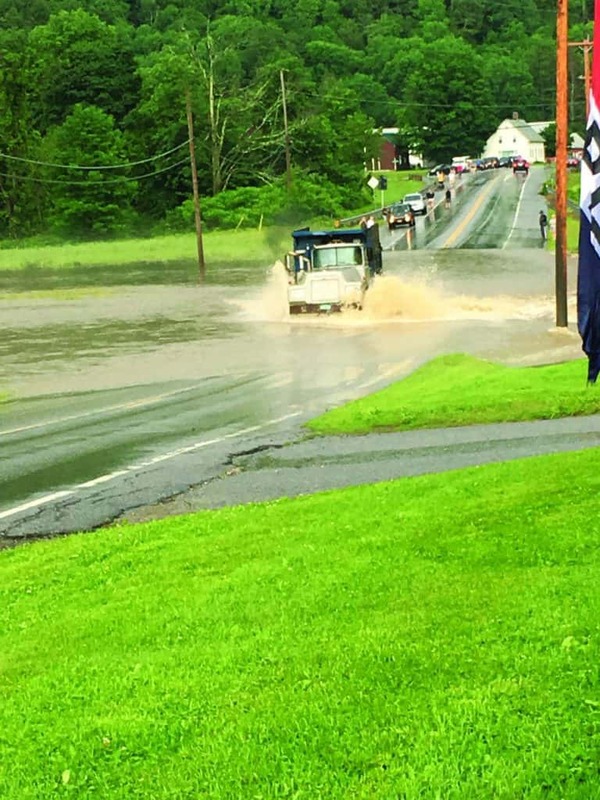 Killington Police reported no incidents during the heavy rains. The New Hampshire/Vermont region of the American Red Cross deployed Red Cross workers to Thetford Elementary to open a reception center on Saturday but closed by midnight. The White River overflowed its banks, overtaking fields on Route 100, just north of Rochester Village, just before North Hollow Farm Store.